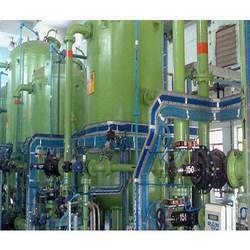 We are leading manufacturer and supplier of Water Treatment Plants. Our wide range of products includes Water Softening Plant, Water Purification Plant, Demineralised Water Plant, Reverse Osmosis Plant and Water Filtration Plant. Leveraging on our in-house production unit, we are presenting a wide assortment of Raw Water Clarification. There are two stage of water clarification processed in the raw water purifications; treating suspended particles from the surface of water and second is clearing the matter to a level than 5 ppm using dual filter. 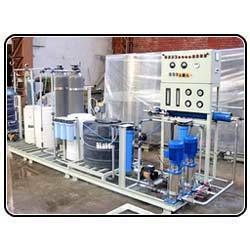 The offered clarification plant can be installed using small or bigger area as per the requirement. As the ‘big’ and ‘small’ is differentiated, less space require less workforce compared to large one. We offer the Demineralised Water Plant to our client. Demineralisation is the process by which total dissolved solids (TDS) present in water are removed effectively. A properly packaged unit incorporates the principles of ion exchange, degasification and polishing, to produce mineral free water. Demineralised water finds wide application in the fields of steam, power, process and cooling. We have a several successful installations in major power plants, steel mills, refineries, petrochemical complexes, etc. For maximum advantage it is necessary that the demineralisation plant is configured accurately. This is ensured by our customised software available with our sales force. 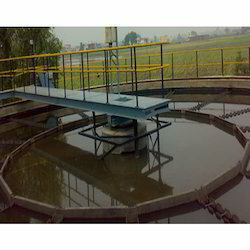 It considers inlet water quality parameters and capacity requirements to offer optimal and cost-effective solutions. We are engaged in offering Water Softening Plant, which provide soft water by ion exchange phenomenon of strongly acidic cat-ion exchanger resin. In order to produce soft water, resins in sodium help in the exchange of sodium ions for hardness, which forms calcium and magnesium ions. For getting different outputs between regeneration, we offer down flow water softener for industrial use and up flow water softener for domestic uses that are available in various models and grades. We are specialized in offering Reverse Osmosis Plant that enables us to perfectly purify the colored and salted water. There is no residue left after the completion of the purification process. We make use of quality RO membrane that enables optimum operations. It functions by reducing suspended and dissolved particles and solids such as ions, metals, inorganic, organic and various bacterial contaminants. 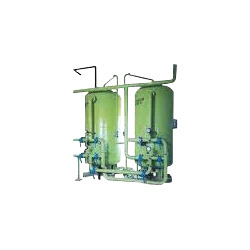 These RO Plants are available in customized finishes and capacities. The entire range perfectly enhances original goodness of the water. We provide our clients with quality Filtration Plant that helps us in removing various impurities from water. These are manufactured using latest techniques to ensure better performance and flawless functioning. 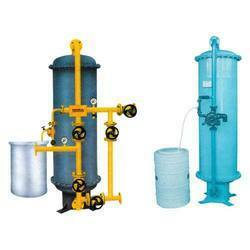 The filtration plants are available in two models which comprises sand filters and carbon filters. Sand filter perfectly removes suspended and visible impurities like sand, dust particles and heavy metals. The carbon filters remove bad taste, color and odor from water. These filtration plants are ideally used in hotels, hospitals, colonies, school, colleges and all water supplying government & private bodies.